With its abundance of water, national parks, reserves and life the Murray River region is a must-visit birdwatchers paradise. The river region attracts a plethora of birdlife of all styles and diversity from common water birds, such as pelicans and swans, through to the rarer, such as the endangered superb parrot and the azure kingfisher. 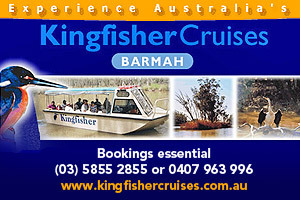 Barmah National Park contains more than 236 bird species, with the superb parrot and azure kingfisher just two of the many. The Coorong is a Ramsar wetlands region and series of lagoons is separated by the sand hills of Younghusband Peninsula from the Southern Ocean. More than 240 species of native birds many that migrate annually from Siberia, Alaska, Japan and China. Feel stillness and isolation expressed in dry ephemeral salt lakes and ephemeral carbonate lakes. 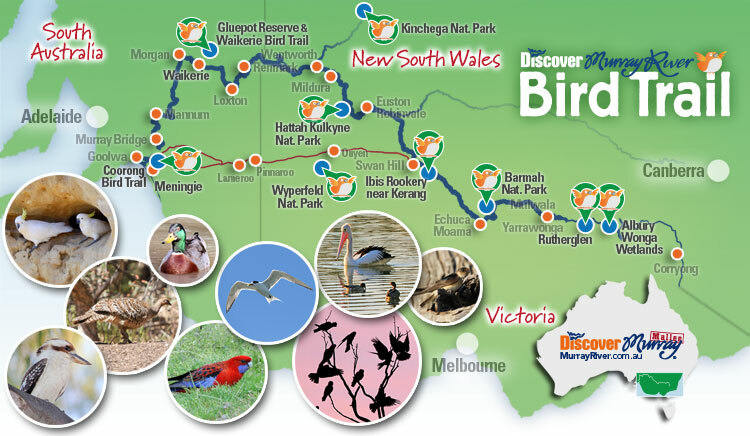 Discover the Coorong Birdwatcher's Trail. Gluepot Reserve is home to 18 nationally threatened species of birds, 53 species of reptiles and 12 species of bats, some of which are nationally threatened. Gluepot also forms part of the unique Waikerie Birdwatcher's Trail taking in 13 locations around the Riverland, South Australia.